Patients are told that a board-certified doctor is a good choice for a practitioner. Taking the time to check and verify a board membership is worth the effort and will help ensure that the doctor meets at least a minimum competency for handling your healthcare. There are actually two aspects of verifying a doctor's board certification that patients should be aware of. Patients need to check the credentials of the doctor and the board from which s/he is certified. 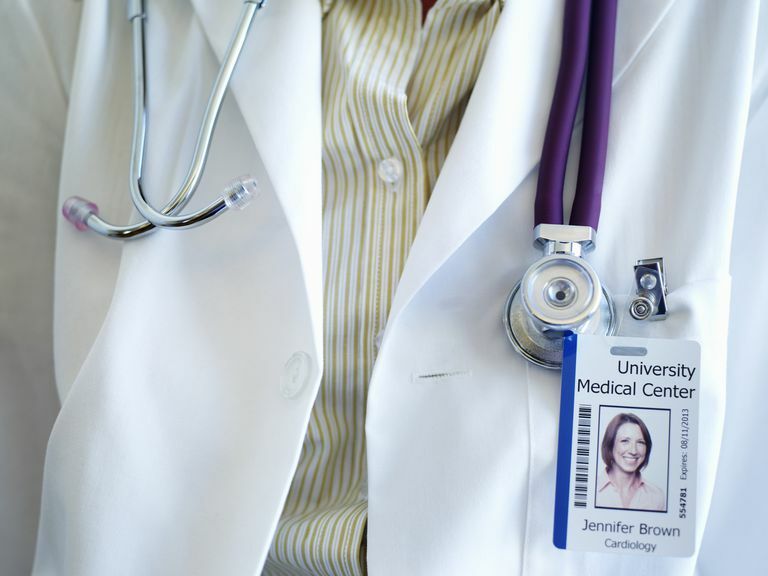 If a doctor claims to be certified by a medical board, you'll want to check to be sure that the body that certifies him or her is a bona fide medical specialty board. If the board is not certified by the American Board of Medical Specialties (ABMS), the American Board of Physician Specialties (ABPS), or the American Osteopathic Association (AOA), you will need to look into the specific board further to make the judgment on your own. Use board association websites. For most boards, begin by looking at either the ABMS Certification Matters site or the ABPS website. You can learn if your doctor is listed and which board he or she is a member of. Access to the doctor's credentialing information requires you to register and log in. The process takes only a few minutes. You will be asked to guarantee you are using the information for your own, personal reference.​If you believe the physician you are researching is a member of an AOA board, you will want to look at the list of specialties on the AOA website. You'll then need to search for the individual board websites to get specific doctor certification information, as the AOA does not maintain a list similar to the ABMS's master list of member-doctors. Note: Many of the individual boards have a link on their websites to "find a board certified" member, but the link usually takes you back to the ABMS or AOA website. Reference one of the doctor rating websites. Information on some of these sites is not always as current as the information at the ABMS itself. But if your doctor has been in practice for a few years or more, it might have everything you need to know. One to try is UCompare Healthcare. Reports are free, and registration is not required. Other doctor rating websites, however, may require registration or even a fee to access their information. Each state in the US makes its medical licensing information public. Most states include board memberships in their information about a physician. Most do not require you to register to use their sites. Like the doctor rating sites, this information may not be the most current, but for most doctors, it will provide adequate licensing and board certification information. There are other ways to find out a doctor is board certified. Some will have plaques hanging in their offices, and others will make the claim on their websites. If they are affiliated with a hospital or other practice, there may be a board certification statement. A savvy patient knows that it's a good idea to confirm this information at one of the board's websites, or at the ABMS or AOA website. Can a Doctor Be Certified but Not on the Web Certification List? Yes. Because doctors go through a constant cycle of certification, then re-certification, it's possible a doctor will not be listed. If you can't find your doctor's name where you expect to find it, you will want to make a phone call to the board you believe the doctor is a member of. That contact information can be found at each board's website. Do a search for the name of the board, and it should pop up easily in the results. Some practitioners include the acronyms of the board(s) they belong to after their names on their practice name, business cards, letterhead, prescription pads and other materials that represent them. This may give you a clue as to what board that doctor may belong to. Still, a wise patient will always double-check membership. Printed materials are often many years old, and signage may never get changed on a physician's door.